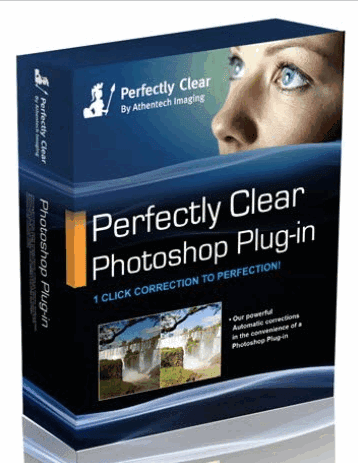 ATHENTECH PERFECTLY CLEAR 1.7.1 FOR ADOBE PHOTOSOP merupakan Plugin tambahan yang berguna untuk memperbaiki photo dalam mode otomatis ketika anda menggunkannya sobat. ATHENTECH PERFECTLY CLEAR 1.7.1 memperbaiki hanya butuh beberapa detik untuk memperbaiki gambar menjadi lebih sempurna dan tentu akan memuaskan sobat semua! 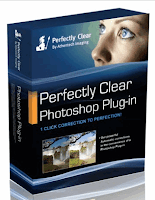 ATHENTECH PERFECTLY CLEAR 1.7.1 memperbaiki gambar yang di rasa cacat seperti: kurangnya eksposur, pencahayaan, bayangan, kurangnya kekayaan dan kedalaman warna, warna tidak cerah, halus, blur, mata merah, noise,dll... Athentech Perfectly akan memperbaiki cacat yang tercantum di atas dalam mode otomatis, dan gambar pun menjadi indah dan menyenangkan untuk di lihat dalam hitungan detik! Perfect Exposure -We'll correct exposure pixel per pixel, never clipping. Color Vibrancy -Accurately fix those photos that look like they've been washed out by the sun. Noise Removal -Automatically detects noisy images, and only removes noise if needed while preserving image details. Tint Removal -We'll automatic remove those nasty tints from tungsten, fluorescent, incandescent, IR, etc light sources. Depth (Contrast) -People like to see photos with lots of depth (a 3D look) on 2D paper. Sharpening -Simple to use, yet very powerful. Artifact free. Skin Tone -Your camera capture infra-red in skin tones but your eye doesn't see it. We can remove this. Light Diffusion -Create a softer, warmer look. Red-eye removal -Automatically detects and removes. Enough said. Color Fidelity -Ensure the proper purples and greens are in your photos. Color - Vivid -Add an accurate color boost to your photos. Dynamic Range -Get the full range of Exposure.